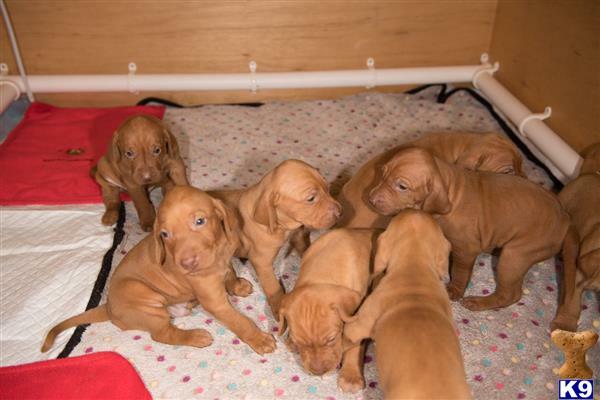 Absolutely Stunning Litter of Hungarian Vizsla Puppies.gorgeous 3 Girls 4 Boys available. Born and Raised in our loving working Home with children and other pets. Both Parents are Hungarian imports and are from the very best blood lines in Europe. 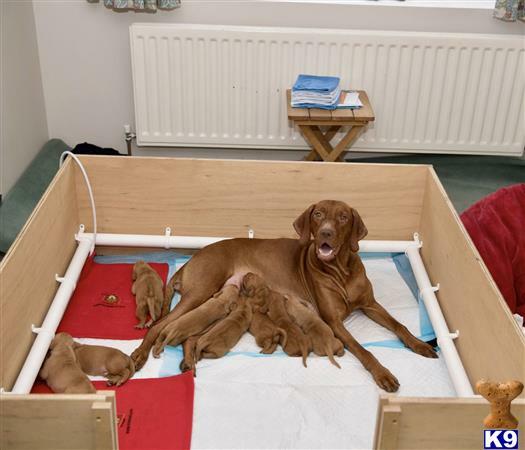 Mum Erica and Father Cerka have very good Hip scores Erica is B Cerka is 0 Both parents conform to the breeds standard are available to view with their puppies for Health and most importantly Temperament. Puppies have a Full Vets health check. 1st Vaccination. Micro-chipped. Wormed Fleaed. also a puppy pack will be given with some Food and our advice sheet on Feeding/Diet. Training Socializing. Grooming. Worming/Fleaing programme. Growing up ect. and ongoing support 24/7 . We have good reputation with over 30 years experience and Testimonials. All enquiries welcomed. nGreat family pets the breed is one of the best to bring to a family home, the third and final litter from their adorable and experienced Mum. They have been raised in the heart of a family home and wormed. 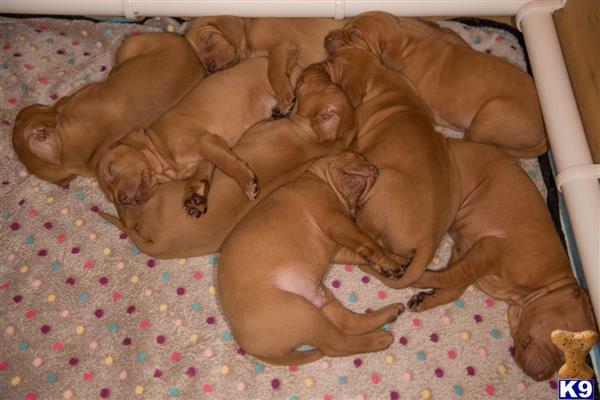 All KC registered Mum and Dad have excellent pedigrees and Hip and Eye certification. Viewing highly recommended. Lots of local interest alreadyThese puppies are ready for their new homes from 11 weeks old and will leave with Kc paperwork 5 generations pedigree 25 champions Microchipped Free Transfer Free insurance Vet checked 2 kg puppy food Working/Show/Active family homes essential...Serious enquiries - please contact by e-mail.